Slimvance Thermogenic and Slimvance Stimulant Free by Bodydynamix are GNC’s featured weight loss supplements for 2018. Both have the patented, clinically-backed Slimvance Core Slimming Complex. But each formula is also distinct, with its own unique fat loss advantages. So which is better for you? 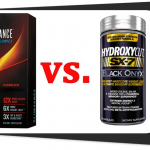 Find out in this Slimvance Thermogenic vs. Slimvance Stimulant Free review. Slimvance Themogenic and Slimvance Stimulant Free present aggressive and conservative fat-burning strategies, respectively. Slimvance Thermogenic and Stimulant Free both supply the patented Core Slimming Complex herbal blend. This Slimvance Stimulant Free supplement facts image shows the botanical Core Slimming Complex blend is the formula’s ONLY active ingredient. Slimvance Thermogenic, on the other hand, includes several extra fat burners. One of the interesting things about this blend is that these three herbs are not usually associated with weight loss, and rarely — if ever — seen in top-rated fat-burner supplements. The magic happens when these three herbs are combined into the Slimvance Core Slimming Complex. This theory seems to be scientifically backed (not quite proven) in human research: One study found that adults taking Slimvance Core Slimming Complex lost 12 pounds overall, versus only 2 pounds in the placebo group. The Slimvance Core Slimming Complex group also lost significantly more inches off their hips and waist, as well as losing significantly more total body fat percentage than the placebo group. Slimvance Thermogenic and Slimvance Stimulant Free are like fraternal twins. The Slimvance Core Slimming Complex is in their supplement DNA. This is a special sauce that they both share. But one of the twins is aggressive and intense about fat loss, while the other is far more conservative. Let’s check out the differences between these two formulas. 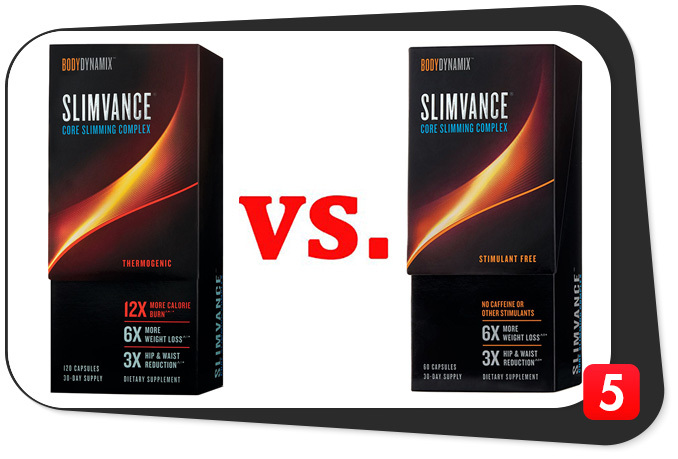 How are Slimvance Thermogenic and Slimvance Stimulant Free different? This approach makes a lot of sense in today’s fat loss supplement market. Stimulant free formulas seem to be on the rise, as many people already drink coffee or other sources of caffeine and may already be over-stimulated in general. Having the Slimvance Core Slimming Complex blend as the central ingredients allows for flexibility. Slimvance Thermogenic simply augments that complex, delivering the more intense experience that is still very popular (and effective) for dieters who can handle the extra stimulation. It is worth noting that Slimvance Thermogenic doesn’t just stack random ingredients on top of the Core Slimming Complex. 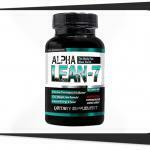 Instead, it features a skillful thermogenic complex including some premium forms of evidence-backed fat burners. These Slimvance Thermogenic ingredients may culminate in “sensory” a fax that can be a little intense for some people, so keep that in mind when you’re figuring out which formula to buy. So how do these ingredient differences and different formulation strategies translate into specific benefits for people who are trying to lose weight? Both of these formulas share the unique benefits of the Slimvance Core Slimming Complex. In the research study on Slimvance Core Slimming Complex, researchers summed up the blends benefits by suggesting it helps people to achieve 6X greater weight loss results and 3X greater reduction in hip and waist measurements. Slimvance Thermogenic offers botanical thermogenics, fat burners and stimulating factors that bring more intense weight loss support than what you will find in Slimvance Stimulant Free. 12X for up to an hour after exercise. So overall, the Slimvance Thermogenic formula is probably more effective at supporting your weight loss efforts. The trade-off is the potential side effects associated with its stimulant and sensory oriented ingredients. Slimvance stimulant free is a milder formula, delivering just the Core Slimming Complex’s weight loss support without any risk of jitters, sleep problems or stimulant-related side effects. For some people, this creates a big advantage for Slimvance Stimulant Free. You get to support your weight loss naturally without putting your body through a potentially harsh fat burning experience. 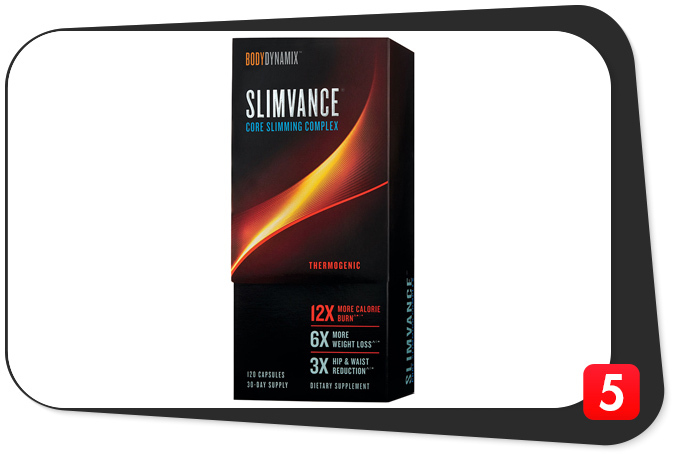 Slimvance Thermogenic and Stimulant Free each make sense for different types of dieters. Slimvance Thermogenic makes sense for people who want to attack their fat more aggressively. It really seems better suited for athletes who may be working on getting shredded, or for people who are in reasonable shape and want to blast away a few stubborn pounds. It is hard to recommend this formula for people who are overweight and out of shape, because in these populations stimulating fat burner formulas are not always advisable for health reasons. Slimvance Stimulant Free make sense for people who are sensitive to stimulants. This may actually include some athletes. In some cases, people in the gym can handle their stimulant intake, but maybe taking a pre-workout supplement that already supplies caffeine. Stacking another couple of hundred milligrams of caffeine on top of that is not a good strategy; however, opting for a stimulant-free fat burner complements to a stimulant-driven pre-workout supplement is a smart move. In addition, Slimvance Stimulant Free is a better choice for people with more serious weight concerns who might be just getting started on their fitness and fat loss journey. And for consumers like these, a gentler, milder, caffeine free formula like Slimvance Stimulant Free is superior for tolerability and overall health. Compared to Slimvance Stimulant Free, Slimvance Thermogenic is a stronger fat burner formula. However, Slimvance Stimulant Free offers its own unique advantages for people who aren’t looking for extra-strength fat loss support. When it comes to the Slimvance Core Slimming Complex, both of these formulas apply the same dosage: 450 mg. Both formulas will supply the same degree of support associated with that dosage. The extra thermogenic ingredients in Slimvance Thermogenic are all appropriately dosed. In addition, Slimvance Thermogenic features bonus biological activity thanks to its black pepper extract, which may enhance the overall potency of the formula by optimizing nutrient absorption. Slimvance Thermogenic and Slimvance Stimulant Free have the same dosage of the shared featured ingredient: 450 mg of the Core Slimming Complex. However, dosages aside, due to the extra thermogenic’s and bioavailability enhancing black pepper extract, we can confidently say that when comparing Slimvance Thermogenic vs. Slimvance Stimuant Free, the Thermogenic is the more potent and powerful formula of the two. Slimvance Core Slimming Complex is the ingredients star of both of these formulas. While it is relatively new, we are impressed to see a branded ingredient like this make a splash with an intriguing human research study. Also, the blend’s turmeric is standardized for curcuminoids, supplying an exact level of the root’s active compounds. This is another sign of quality. Capsimax™ Fruit Extract (Capsicum annum), 33.34 mg – Cayenne pepper is one of our favorite fat burner ingredients, and Capsimax™ is an advanced form that is standardized for its active capsaicinoids, and delivered in micro-beadlet technology that delays its release to eliminate any burning gastric side effects sometimes associated with red pepper consumption. Thanks, Capsimax. Slimvance Thermogenic uses more premium-quality ingredients than Slimvance Stimulant Free. So in considering Slimvance Thermogenic vs. Slimvance Stimulant Free, we’re giving a slight edge to the Thermogenic formula. Clean Label: Nope. Both of these fat loss supplements are loaded up with fillers, additives and synthetics, including two artificial colors, FD&C Red #3, FD&C Yellow #6. Slimvance can do better than this. Slimvance Thermogenic and Slimvance Stimulant Free are both unremarkable in their delivery, and we would prefer if their labels were cleaner and their formulations were delivered in a vegan capsule or other advanced form. There is a pretty clear distinction here: Slimvance Stimulant Free cost half as much as Slimvance Thermogenic. This is not really surprising considering that Slimvance includes the extra fat burners, and high quality forms that cost a little more. These prices are from GNC in late 2017. We initially thought that Slimvance products were exclusive to GNC and not sold anywhere else. However, it is looking like there are more outlets available (namely, Amazon) where you can buy these two fat burner supplements; perhaps it will be available to buy in more stores and at more sites in 2018. This gives us hope that there will be some competitive pricing that may enable you to shop around and get better deals on Slimvance Thermogenic and Slimvance Stimulant Free. In terms of pricing, Slimvance Stimulant Free is cheaper than Slimvance Thermogenic — but you miss out on all of those extra thermogenics. 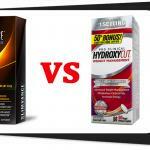 Slimvance Thermogenic vs. Slimvance Stimulant Free: Which is Better? When it comes to comparing Slimvance Thermogenic vs. Slimvance Stimulant Free as fat burner supplements, it is difficult to say that one is better than the other. 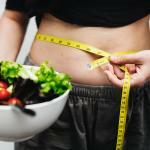 Even though they share the Core Slimming Complex, they are intended for different audiences. You can’t really make an apples to apples comparison. If you can handle intense fat-burning activity, like stimulant-driven formulas and train with intensity on a regular basis, Slimvance Thermogenic is better for you, because it is designed for your needs. If you avoid stimulant-driven fat loss formulas, then Slimvance Stimulant Free is better for you. It also provides a unique nonstim formula that we’ve never seen before, enhancing its appeal for people who are sensitive to caffeine. Overall, Slimvance Thermogenic delivers more intense fat-burning support than Slimvance Stimulant Free. The most obvious distinction is that one of the ingredients in Slimvance Thermogenic allows them to make a “burn 12 X more calories” claim that we are not seeing in the Slimvance Stimulant Free materials. In conclusion, the winner of Slimvance Thermogenic vs. Slimvance Stimulant Free really depends on who is taking it, but for pure fat-burning results one of these sibling stacks gets the edge. I was drinking decaf tea so I didn’t mix caffeine. Should I continue taking it ? Probably not a good idea to continue taking it after that kind of reaction. We suggest you return the product and notify the manufacturer about these side effects. Hi, I had a similar reaction after being on the thermogenic one. I’ve been on it for about 4 days now and this morning when I took it about 30 min later I began to feel my face get really warm and it continued to get warmer and warmer, when I looked in the mirror my cheeks, forehead and ears were super flushed, I mean really red and this lasted about 45 min. I didn’t feel nauseous, headache, or any other symptoms at all just the extreme warmness and flushing of my face. Oh and some itching on the back bottom of my neck/upper back area This was my first experience like this and I’ve been taking it for 4 days already. After much research I realized I accidentally over dosed on carcina. It was in both my GNC multivitamin pac and in the Slimvance. Be careful what you take it with check your multivitamin labels. 1st dose in AM on my first day taking it, I got supet hot. My fave checks, neck nose were burning like I used a tingle tanning lotion. I felt like I was tingling from an allergic reaction. Scarey!!!!! Same thing happened to me after taking for 4 days i started experiencing the itchy feeling all over, like your itching from the inside out. i also had the red flushed feeling on my face and ears. looked like i had a bad sun burnt.. Also notice that my urine had a strong smell & color while taking this. i just figured it out today it was these pills that was affecting me. Today was my second day taking and I experienced itchy hands, bright red ears face and neck and then hives all over my arms.. 2 Benadryl made everything go away… trying to figure out what is causing the allergic reaction! My second time taking it today I got really hot after about 30 min on the treadmill then I had chest pains amd hives all over my body…. Same reaction as some before this post. I have been on this for almost two solid weeks. today is the first day that I experienced the flushed face and prickly feeling. Hives on my chest and arms… Scary. I will cease taking this as I know it cannot be good if the body is telling you this. Can I get a refund for unused portion ? Have been taking the non-stimulant Slimvance-now for a week- I take meds for other problems- have not seen any flushing, hives or other reaction. Definitely recommend Non-Stimulant Slimvance.